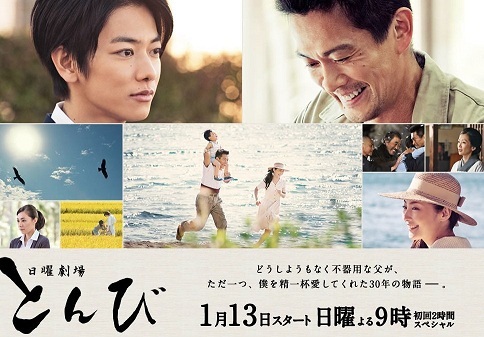 Summary : The drama is based on the best-selling same-titled novel by Shigematsu Kiyoshi. It tells the story of how a widower brought up his only son, after the death of his beloved wife. Ichikawa Yasuo, or Yasu as he is known, is a baka, with no paper qualifications to his name. However, like all normal parents, he dotes on his only son, Akira. Having grown up without his parents around, Yasu himself knows next to nothing of what parenting is about. With his wife, Misako, by his side, he had spent many happy days together with his little family. However, when Akira was 3 years old, Misako passed away suddenly from an accident. Heart-broken, and filled with regrets, Yasu pulled himself together, in order to care for his little son. Together with the help of his friends, Yasu overcame it all, and Akira grew up to be a bright and successful young man. “With nothing but love for his son… that’s all there is”. Mahdigh, Episode 3 is only 18 minutes long instead of 46 minutes..Plz look into it..Anyways thanks for the drama. i encoded that episode 4 times and everytime it stop at 18min. i’m looking for another raw at the moment. Ok…hope u find a better raw…I’ll wait. Can you please reupload all links, thank you.